Great article by Ana Paula Orlandi, published on January 2nd, 2019 as an editorial article for C& América Latina! 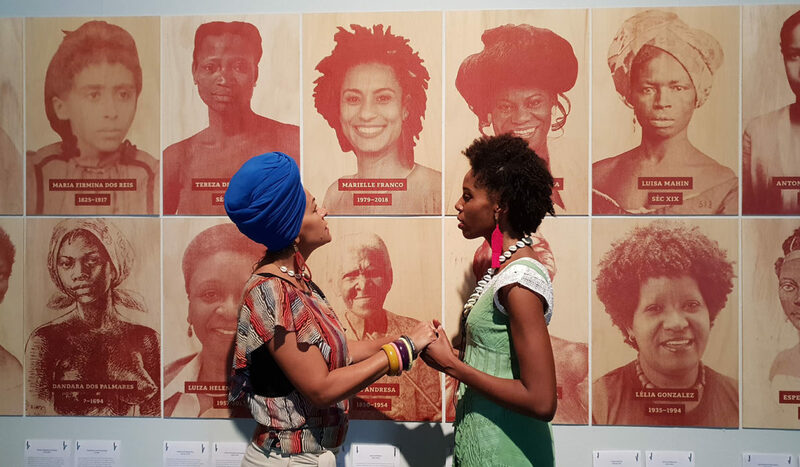 “Exhibition recounts the narrative of black women who breastfed the children of white slave owners in order to reflect on structures that persist today in Brazilian society. In 2015, when participating in a group exhibition in Rio de Janeiro, visual artists and researchers Isabel Löfgren and Patricia Gouvêa came across a copy of the print Negras do Rio de Janeiro (c.1835) by German painter Johan Moritz Rugendas (1802-1858). The scene in question, on the door of the Rio gallery, depicted two black women. One of them, barefoot, was carrying a basket of fruit on her head and her son on her back. The other, dressed more sophisticatedly, was sitting next to a trunk and with an open book, and might even be a teacher. © 2019 Mãe Preta All Rights Reserved.